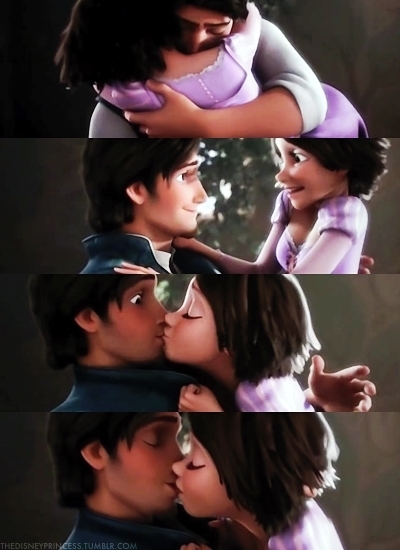 Rapunzel & Eugene (Flynn)'s first Ciuman. ^^ ;). Wallpaper and background images in the Tangled club tagged: tangled rapunzel eugene disney disney princess flynn rider. This Tangled photo might contain cermin mata hitam, cermin mata gelap, warna, and warna-warna.